Sony will finally discuss its release plans for the PS4 console during a press conference at Gamescom in Cologne, Germany next week. The company will host the media on Tuesday, prior to the start of the annual gaming extravaganza, and has seemingly confirmed an official release date will be slipped during the address. In a post on the UK PlayStation blog, Sony wrote: "We'll kick off the show at 18:00 BST [1PM EDT, 10AM PDT] on 20 August 2013 with a briefing to media on our release plans for PlayStation 4, as well as updates on PlayStation 3 and PlayStation Vita." 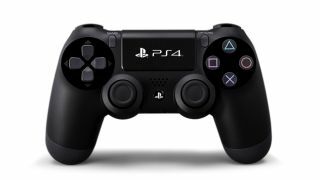 Since launching the console in February 2013, Sony has refused to drawn beyond its vague "Holiday 2013" release window, but most observers expect a launch in November in order to meet the Christmas rush. Microsoft is also yet to confirm when the Xbox One will land on our doorsteps, but has, at least, narrowed it down the timeframe to the month of November. Microsoft is also expected to announce specifics during its own E3 conference, also taking place on Tuesday. Indeed, the last pieces of the puzzle are beginning to fall into place ahead of the next-gen console war. By the end of next week we should have concrete launch dates, full game launch line-ups and all other little details ironed out. Stay tuned to TechRadar for all of the news as it happens. We've reviewed Sony's PS4. Check it out!